Children try their hand at canoeing as part of The Rio Grande Valley Diabetes Association Camp ENERGY for diabetic children Friday June 09,2017 in Mission. Camp Energy in Mission is bustling with loud music, lively children and enthusiastic counselors. The campers dance, hike, canoe, and swim. And several times a day, they line up inside a colorful abode to have their blood sugar checked. Each camper is a child from the Valley with diabetes. Since 2006, the Rio Grande Valley Diabetes Association has hosted an annual three-day/two-night summer camp for children between the ages of 6 and 16. Its purpose is to give the participants a supportive community and show them that their diagnosis does not have to affect their quality of life. Elsayed, a co-founder of the RGVDA and the chairman of the board of executives, said the camp can be intimidating when a child has never been away from their parents for an extended period of time. He knows parents tend to be more protective than most when their child first gets diagnosed, but he works to educate families so they are comfortable with letting their kids be kids. 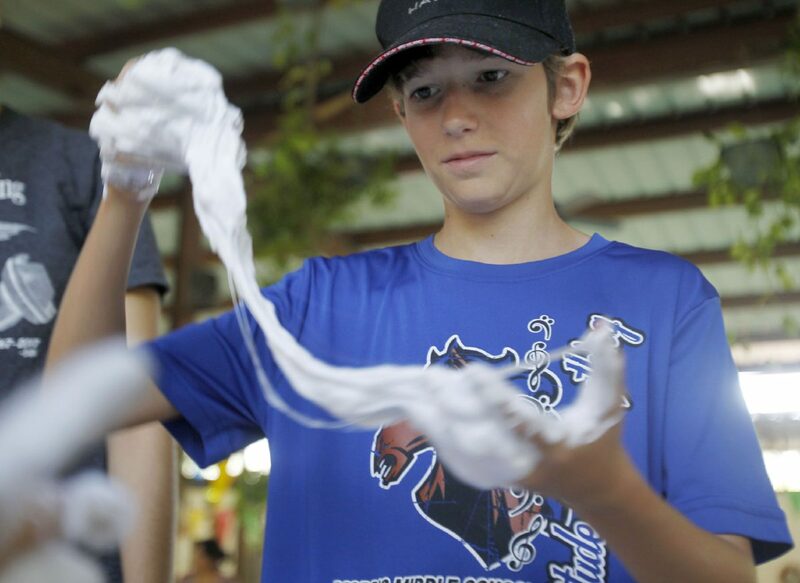 Blake Molinaro, 12, of Edinburg with gooy stuff to make slime at Camp Energy Friday June 09,2017 in Mission. 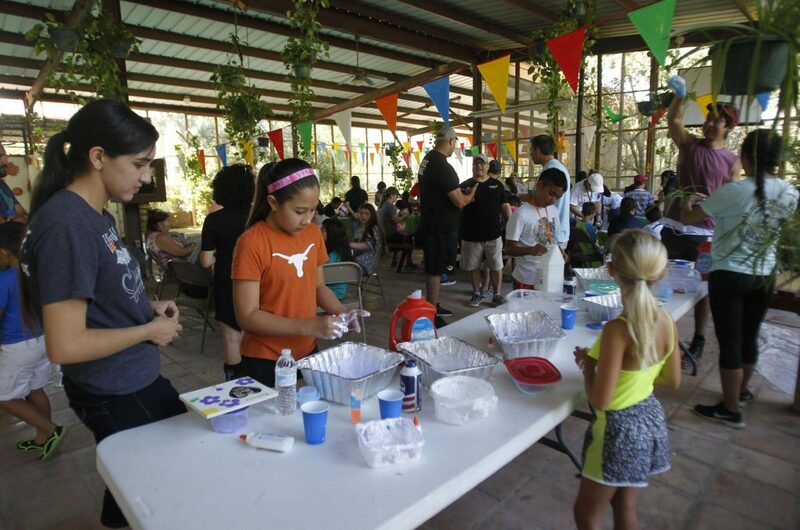 Rio Grande Valley Diabetes Association hosted a camp for diabetic children. 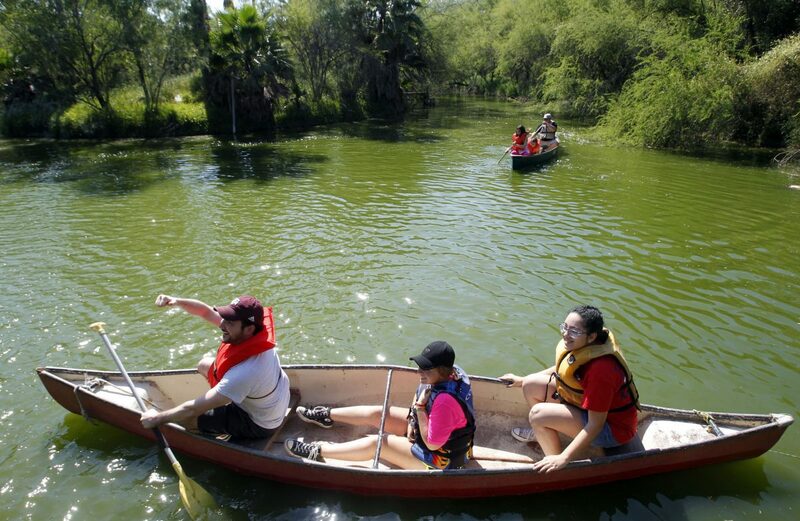 Children try their hand at canoeing as part of The Rio Grande Valley Diabetes Association hosted a Camp ENERGY for diabetic children Friday June 09,2017 in Mission. Children enjoy different types of fun activities during the The Rio Grande Valley Diabetes Association camp for diabetic children at Camp Energy Friday June 9, 2017 in Mission. But the kids do have medical needs, so the camp accommodates that. Medical staff stays overnight, as do some of the volunteers — most of whom are nursing students at the University of Texas-Rio Grande Valley. There are also certified diabetes educators and RGVDA members present, but no parents. The medical professionals conduct regular blood sugar checks to ensure that each camper is healthy and in good condition, but they are not the only one doing the work. The kids themselves know their symptoms, how much insulin they need at any given time, and how to maintain their diet. They even compare insulin pumps. While Elsayed has a close relationship with the campers and counselors, he knows it’s more effective for the kids to learn from each other than the adults. The camp fosters a peer-to-peer community where they can share information and make friends. The camp also integrates awareness into everyday actions. The kids are able to make their own meals, but have to calculate how many carbohydrates they will consume before doing so. They learn portion control, substitution of ingredients and balancing a variety of foods. In addition to the kids learning how to manage their diabetes, the camp is also an opportunity for future medical professionals to gain experience. The nursing students, supervised by nurse practitioner and UTRGV professor Orelia Herrera-Erdem, volunteer as camp counselors and help with tasks like checking blood sugar levels. Herrera-Erdem said she has seen the camp help the young people mature, gain confidence and become more social. She feels fortunate to be part of something that inspires them and makes them feel less alone. Elsayed has seen the same growth, but he also sees how these kids are just like others their age that do not have a diagnosis. 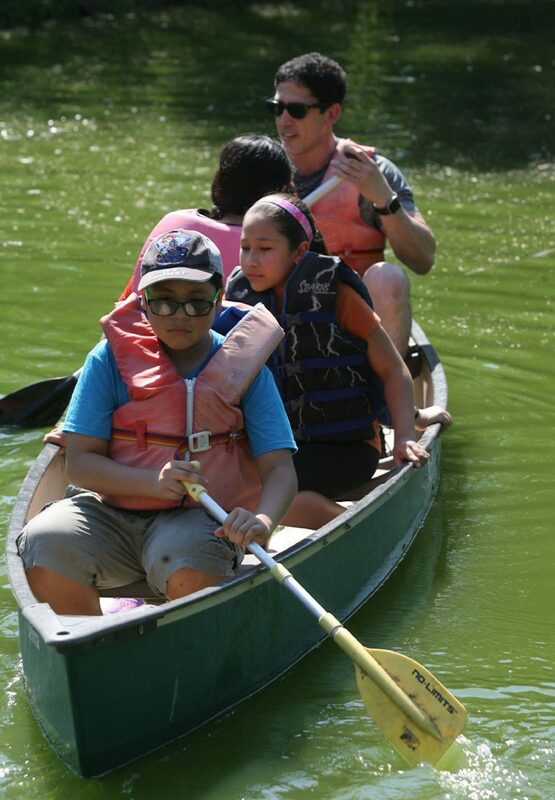 While canoeing, one camper began swaying back and forth to throw the counselor into the water. At the camp talent show, one camper did stand-up comedy. Being part of the RGVDA has given him the opportunity to help others and the chance to be reminded of the childlike spirit.